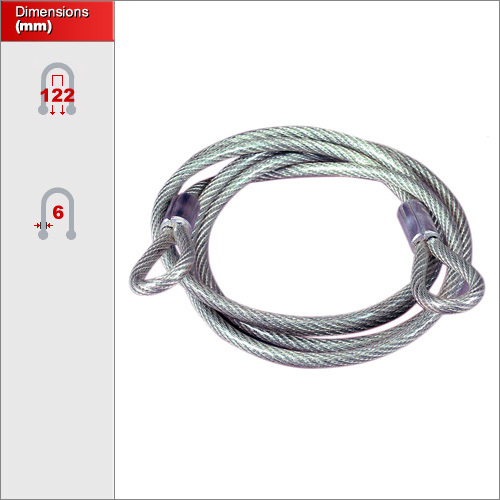 The steel cable is great as an all-round security measure and includes two eyelets on each end. 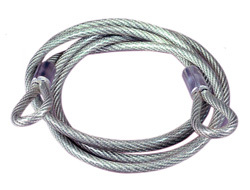 The versatility of this cable makes it popular with cyclists, farmers and businesses. The lasso design allows each end to be threaded though one another and increase the length if required. On our website we have two sizes of popular flexible cable. Please use the drop down list above to select your desired length. This is ideal as a general all round cable or as a budget requirement. If the application is outdoors or subjected to other environmental conditions we would probably recommend the all-weather Cobra Cable.